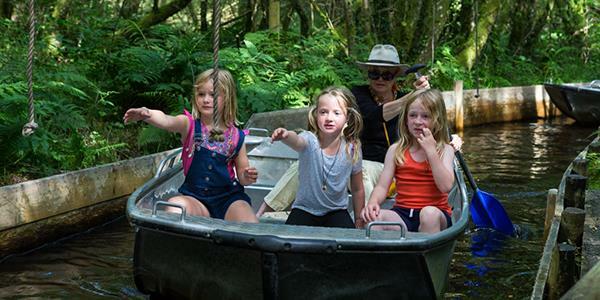 Previously voted best family attraction in North Wales for six years running, the GreenWood Forest Park is home to an incredible variety of attractions that will keep the family entertained for hours! 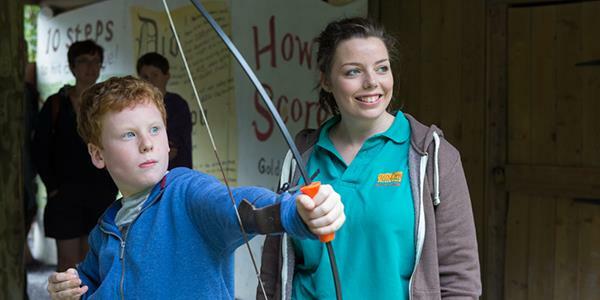 Twenty-seven acres of woodland close to Anglesey is packed full of rides, activities and family fun. 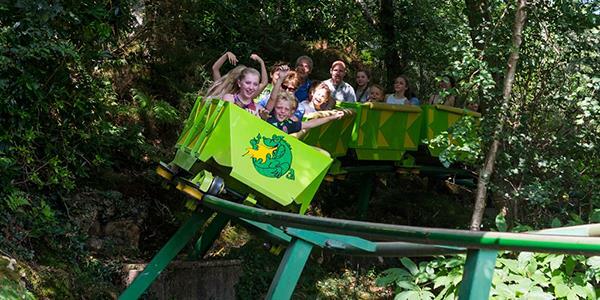 As you explore GreenWood you'll discover the UK's only solar-powered water ride or the longest toboggan run in Wales, a firm favourite with youngsters! Why not hop aboard the UK's first ever people-powered roller coaster and then take the little ones to the BareFoot trail where they'll love being able to take their shoes and socks off for a walk? Everyone is guaranteed to have great fun exploring GreenWood. There is loads to see and do and the park is proud of its eco friendly approach. They are environmentally friendly where possible and a habitat creation plan encourages a lot of wildlife – so keep your eyes peeled as you wander the woodland. Otters have been known to visit in the past along with a range of native birdlife attracted to the nest boxes. If children want to get up close to some of the inhabitants you can visit Rabbit Village to meet rabbits, guinea pigs and resident peacocks and then follow it up with a donkey ride. They can get hands on building dens, or bounce off a little energy in the giant inflatable jumping zone. For a bit of a challenge set off on a jungle river boat ride and pull your way around the water, or get lost in Crocodile Maze. There is a little something for everyone including an indoor play area for if the weather just isn't on your side; the Enchanted WoodBarn is full of all the latest indoor play. During holidays and weekends there is also a programme of entertainment and crafts to get involved in such as magic tricks and shows. There are places to grab food and drink around the park, so if you needed a pick-me-up cuppa you can always stop off in the Green Oak Café. It serves hot and cold food and drink. There are a couple of other snack bars on site as well. GreenWood is open daily from 10am – 5.30pm. Ticket prices vary depending on the season. During the peak season adults are £15.50 and children over three are £14.95. Take a look at other prices and opening times on the website here. GreenWood Forest Park is located off the A487 really close to the Isle of Anglesey and just half an hour from Henllys. Cross Britannia bridge from Anglesey to the mainland and take the first exit following the Caernarfon signs. At the third roundabout take the Llanberis exit and then follow the brown signs. The postcode to use is LL55 3AD. Explore GreenWood for yourself. Find out how to stay at Henllys by entering your details at the bottom of the page and receive a free brochure.